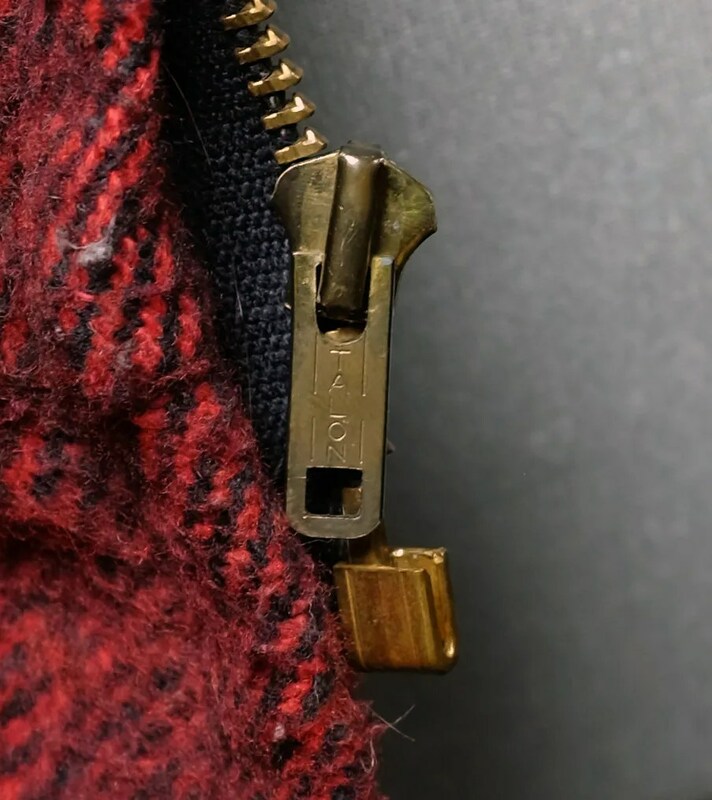 This vintage jacket was made in the late 1950s – 1960s. 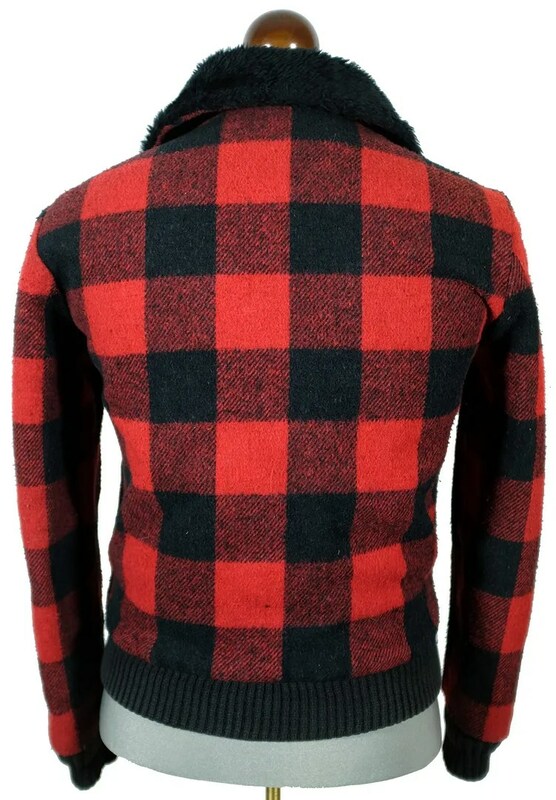 It is a classic post-war bomber jacket style, with a knit waistband and cuffs, and handwarmer pockets. 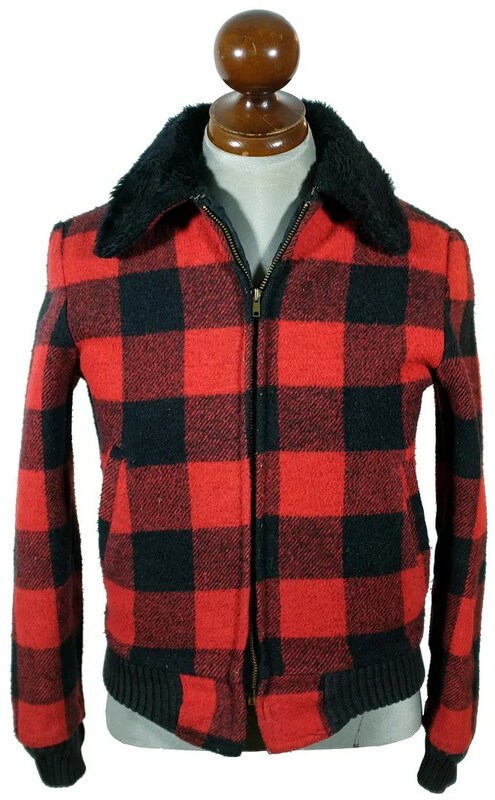 The jacket is red and black buffalo plaid, with a faux-mouton collar. 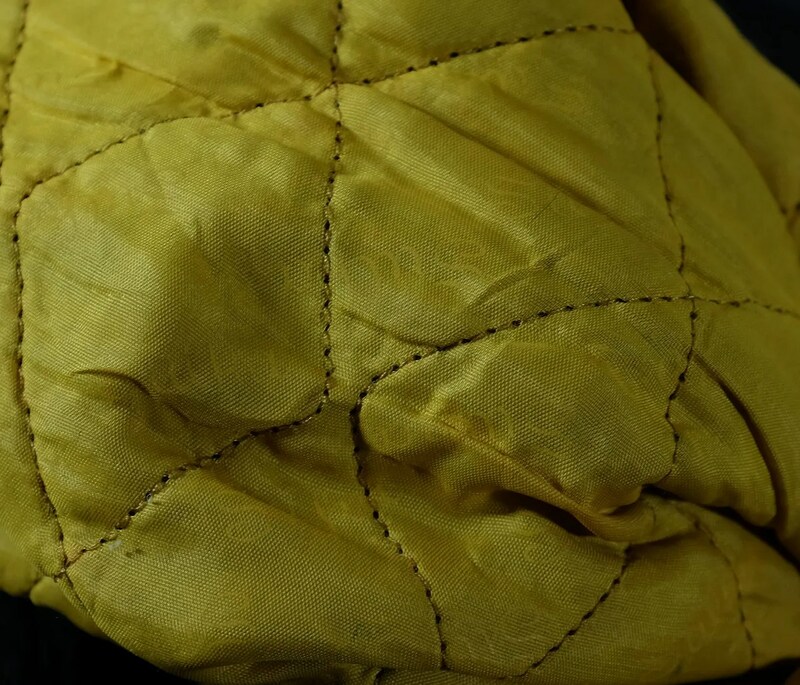 It has a quilted lining, with the sleeve linings marked Sulka. 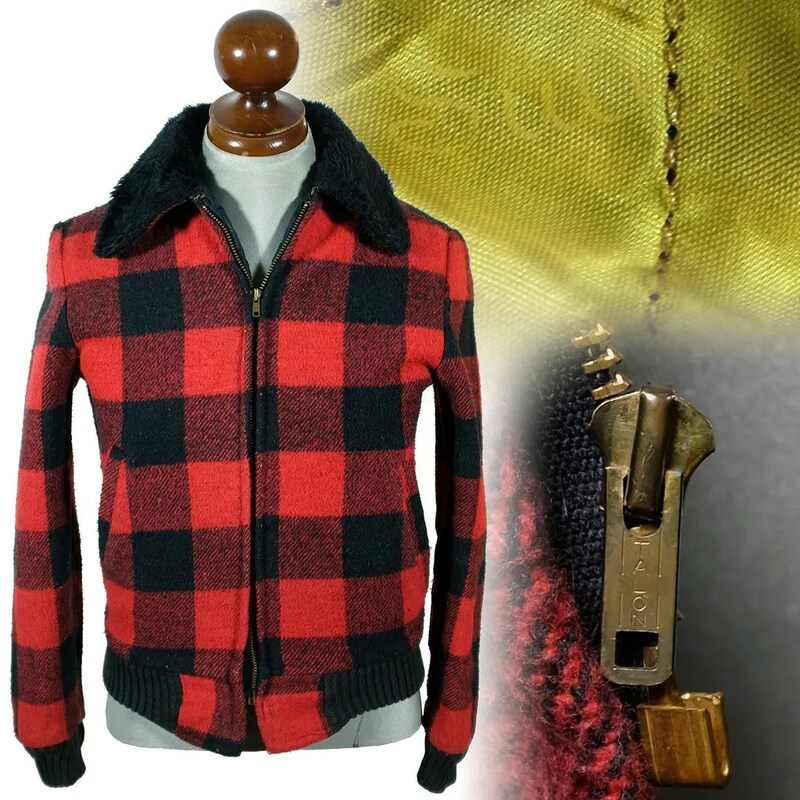 This entry was posted in Jackets and tagged 1950s, 1960s, bomber jacket, clothing, fashion, jacket, plaid, style, Sulka, talon zipper, vintage by Spencer Stewart. Bookmark the permalink.